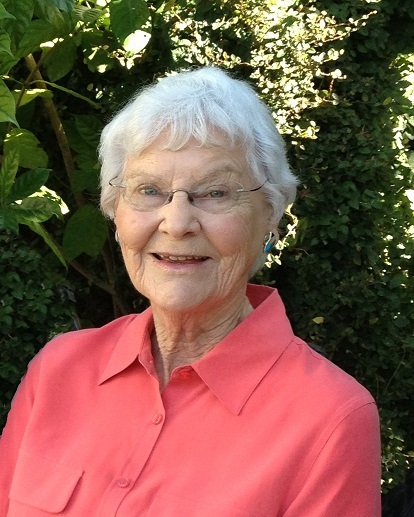 Alice May Lynde Berthelsen died peacefully March 18, 2019 at home in Houston, age 93. Born February 5, 1926, Minneapolis, MN, to Mr. & Mrs. H. Spencer Lynde, she graduated Univ. of Minnesota, Dec. 1947 with high honors, Phi Beta Kappa, soon after her marriage to Don Berthelsen on 12/26/1945, while living in World War II Veterans housing, a 9x17 trailer with no running water. They lived in Boston, Oklahoma City, and finally settled in Houston, TX (Meyerland), where they raised three sons. Alice May earned the designation of CPCU and taught insurance courses to insurance professionals while working with her husband for 15 years in the Berthelsen Insurance Agency. She served three terms as president of the League of Women Voters of Houston, was active with the League in the sixties during the civil rights movement, served as the first president of the Volunteer Center and president of the Citizens Environmental Coalition, founding board member of Houston Area Women's Center, board member of the YWCA, City of Houston Planning Commission, Governor’s Committee for the Handicapped, and the Harris County Flood Control Flood District Task Force. During retirement, Don and Alice May enjoyed their second home in Rockport, TX, and her hobby of swimming - clocking 4,000 miles in 30 years. She enjoyed various book clubs and a 50-year-old bridge club! Predeceased by her husband, Donald Melvin Berthelsen (b.4/21/1926-d.3/4/2014), she is survived by her sons: Douglas, Spencer and Richard Berthelsen; their spouses Linda and Janice Berthelsen, her grandchildren, Donald Berthelsen, Kathryn Berthelsen Tees and Alice May Berthelsen Flather, their spouses Brian Tees and Andrew Flather, her great granddaughters, Margaret Maeve Tees and (soon-to-be-born) Addison May Flather. A memorial service will be held on Sunday, March 31, 2019; 2 pm, Bradshaw-Carter Memorial, 1734 West Alabama, Houston, TX 77098. As the daughter of a wholesale florist, she enjoyed flowers.